There are three ways you can setup shipping rates in the Magento Backend. You can choose from three different conditions, Weight vs. Destination, Price vs. Destination and Number of Items vs. Destination. 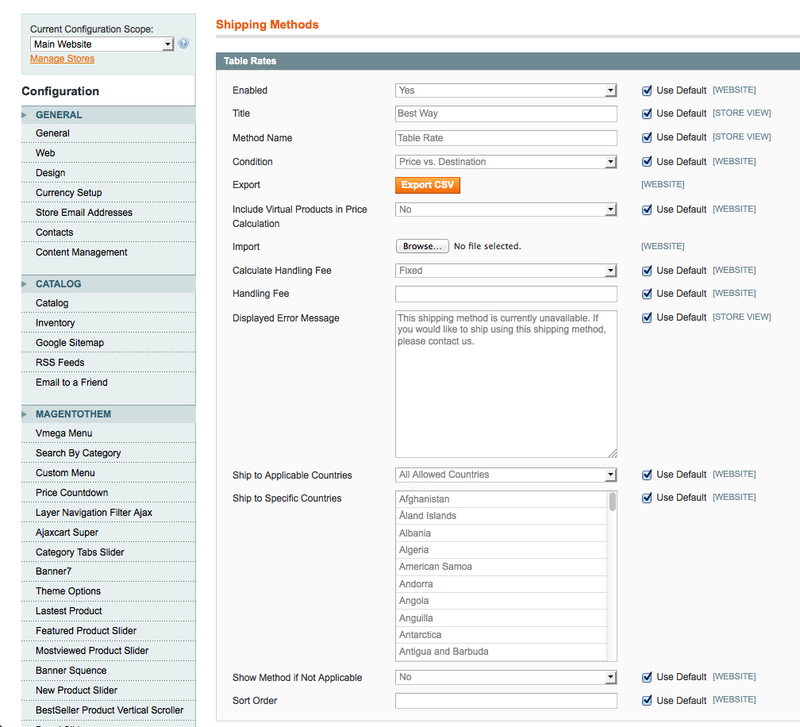 To setup table rates you will firstly need to Login to Magento, go to SYSTEM -> CONFIGURATION and then click on “Shipping Methods” in the SALES tab on the left navigation menu. Here you can set the main default values, before we add the actual rates themselves which needs to be done on the “Website Level”. Configuring the default table rate values. Firstly we need to enable the table rates by selecting “Yes” from the drop down menu. You will then need to type in your Title and Method name. Magento default is “Best Way” and “Table Rate”. I like to choose something like “Royal Mail Shipping” in the Title and “Standard” as the Method. 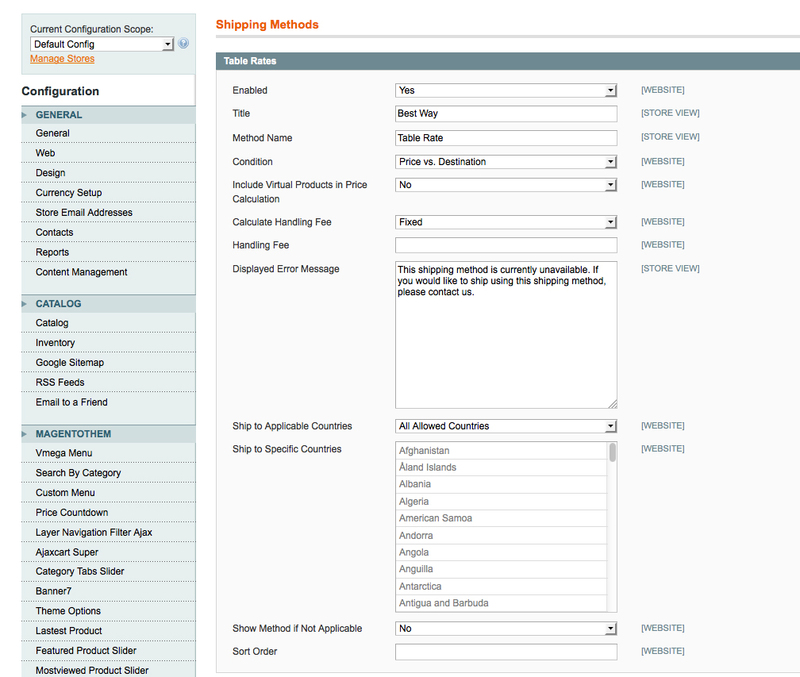 You will now need to select the condition and how you want Magento to calculate your shipping rates. For this example i am choosing Price vs. Destination. You can also set a handling fee, allowed countries, show if not applicable and the sort order of where the shipping option will appear in the checkout. We are now ready to configure the actual Table Rates, so click the “Save Config” button and the switch to the “Website Level” in the Current Configuration Scope. (Top left above the configuration navigation) You can now select the Website you wish to set the Table Rates for. If you have not created or changed your website name in manage stores, this will say “Main Website” as default. Once you select the “Website Level” you will see the “Table Rates” configuration like this below. 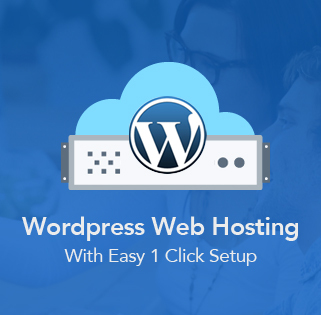 For this demonstration we have kept the default values, but if you require different values for this particular website you can uncheck “Use Default” and enter you new values. So now all there is left to do is add the Shipping Rates, this is done by uploading a CSV file. Easiest way to do this is to firstly export the default shipping CSV to your computer by clicking on the “Export CSV” button. Then open the CSV file in Excel and add your Table Rates in the same format. I the example above we have setup four shipping rates, £5.95 for the order sub total between £0 – £49.99, £7.95 for the order subtotal between £50 – £99, £9.95 for the order subtotal between £100 – £199 and then Free Shipping for the order subtotal of £200 and over. Note that Magento will calculate the shipping rates based on the order sub total, so if you add a discount coupon, the order subtotal after the discount is applied is what the rates are calculated on. With Price vs. Destination you will now need to enter the starting rate, in this case we have added subtotal order (and above) of £0. For this example we have setup a single rate for all regions in Great Britain. To do this we add GB or GBR as the country. We then add * in the region/state and ZIP/Postal Code. Now we will filter the shipping rates further by Country and Postal Code. To do this you need to make new rows, same as before but replace the * with the first two digits of the postal code for the area you wish to set a different rate for. In this example we have set different shipping rates for the Brighton area. Once you have entered your new Table Rates save your CSV file and import it into Magento, click the “Save Config” button and then your new rates will be active in the checkout. I have only 2 shipping rates! One for my City and another for rest of my country Norway. Can I add the name of my City, “Oslo” in the “Region/State” and “*” for rest of the country? Magento table rates are calculated using State/Region and Postal Code. You can add the Olso Zip/Postal Code Ranges in the the Zip/Postal code column and then Magento will calculate additional rates based on the Postal Codes for that particular city.